RAIN ALERT: WE ARE SET UP AND READY TO GO!! SEE YOU SOON!! Start your day with the Block Party @ St. Norbert 5K Fun Run/Walk and Kids Dash. This event is popular for all levels of runners and non-runners alike, and is especially appealing to families. Admission to the St. Norbert Block Party is included with the race registration! The scenic USTAF certified course features closed roads and paved park pathways through the flat and wandering Techny Prairie Park and Meadowhill Park in Northbrook, IL. Professional timing provided by RaceTime systems. A portion of the profits from the 5K are donated each year to local charities. The 5K start/finish is located at the corner of Walters Ave. and Lorenz Drive, across from the Metra Train Station parking lot in downtown Northbrook. Kick off the Summer with the Block Party @ St. Norbert 5K Fun Run/Walk -- part of the annual community block party held at St. Norbert, located in Northbrook, IL. Admission to the Block Party is included with the race registration! This event is popular for all levels of runners, and is especially appealing to families. The Kids Dash starts at 8am, and the 5K Run/Walk starts at 8:10am. The scenic USTAF certified course features closed roads and paved park pathways through the flat and wandering Techny Prairie Park and Meadowhill Park in Northbrook, IL. Professional timing provided by Race Time. Split times will be offered on the course at 1, 2 and 3 mile marker points. This event is co-sponsored by Janzen, Janzen & Chwa orthodontics. - 8:10am: 5K Fun Run/Walk Starts! Baby joggers/strollers must start behind the runners. Walkers will start behind runners with baby joggers. NOTE: bikes, skates or dogs are not permitted. - Admission to the Block Party @ St. Norbert!! Begins at 3pm. - Awards to overall male & female finishers and to first place male & female in each age group. Come on back in the afternoon starting at 3:00pm when the Block Party begins! Enjoy the fun with a variety of bands, kids entertainment, beer garden, food and more! Portion of the profits from this race are donated to Northbrook area community charities! Visit www.StNorbertBlockParty.org for more info. Free parking is available in the Metra lot. Enter off of Shermer Road on the West side of the railroad tracks. St. Norbert Parish is located next to the Metra train station in downtown Northbrook, IL. From the Edens Expressway (I-94) take Willow Road west to Waukegan Road. Then take a right on Waukegan Rd. (IL-43) and go north to Walters Ave. Take a left at the stoplight at Walters and go west to St. Norbert. Awards to overall male & female finisher, and to first place male & female in these age groups: 7-10, 11-14, 15-19, 20-29, 30-39, 40-49, 50-59, 60 & up. The Awards ceremony will be at 9:00am. Also, results will be posted at the Block Party starting at 3:00pm. So plan on coming back in the afternoon to celebrate and have fun! We will have a list of all registered runners at the entrance, or bring your race number with you for free admission! For safety reasons, no bikes, skates, or pets are allowed. A water table will be located midway through the course. Restrooms are located at the start/finish, and along the course (in the Techny Prairie Park and Meadowhill Park). We will have a course marshall on a bicycle leading the runners, and also monitoring the pathways. Because this is on Park District paths, please be aware that there may be other users (walkers/riders) also using the path. This event is rain or shine - with no refunds. If thunderstorms occur, we will monitor the park district lightning detectors and protocol for your safety. 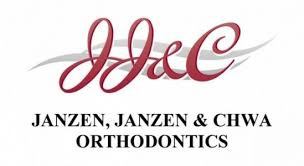 We would like to thank Janzen, Janzen & Chwa for their generous support of the St Norbert Block Party and the 5K Fun Run/Walk!